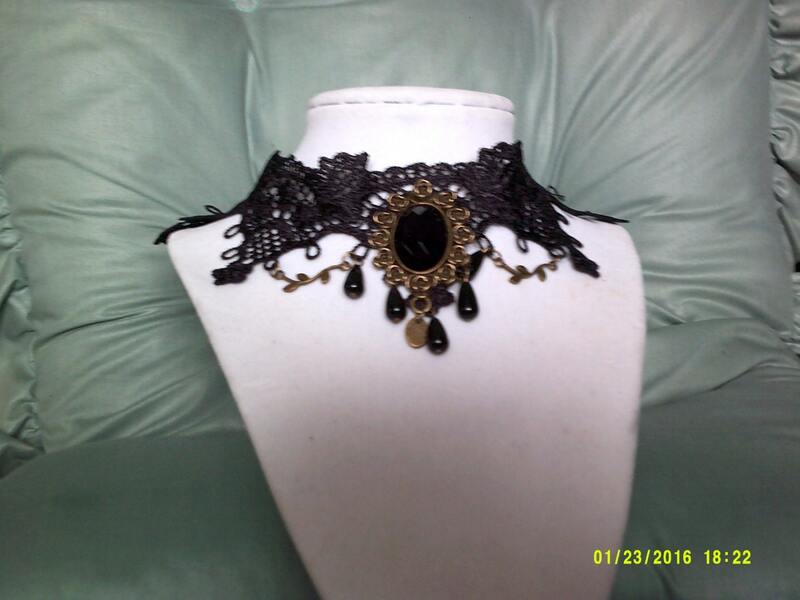 Goth Black Lace Choker, Victorian Steampunk Choker, Ornate Black Lace Choker. 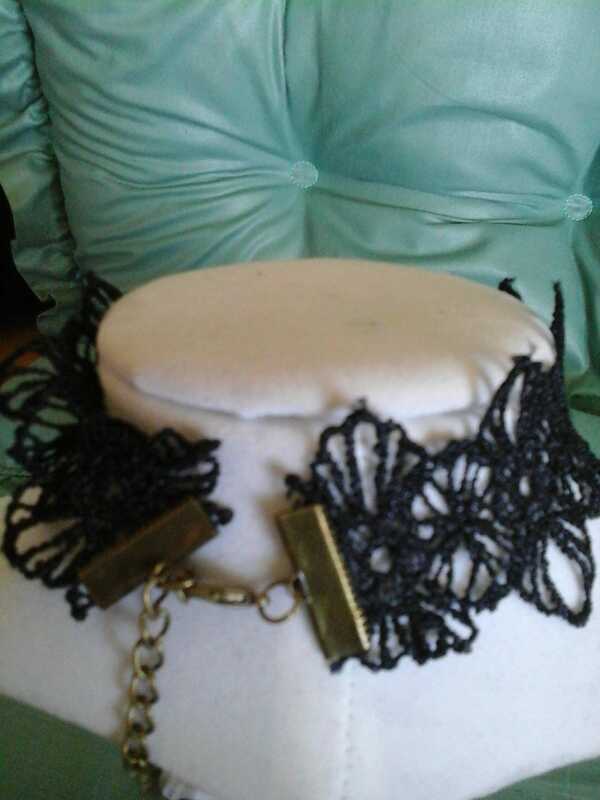 11 inches wide with a 3 inch adjusting chain. Pendant is 2 inches long. 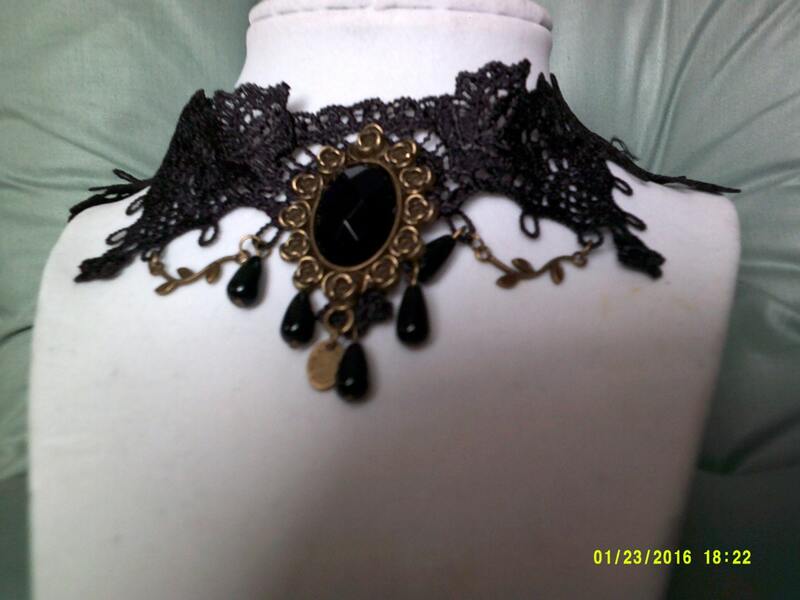 Intricate black lace choker for steampunk cosplay, or goth cosplay. Can be worn as your every day style, or part of your costume. A beautiful goth or steampunk gift for wife or girlfriend.